With the rise in obesity, we can expect to see a subsequent rise in cases of type 2 diabetes. In fact, over the next 25 years this disease is anticipated to increase by over 50 percent. As a result, putting an emphasis on prevention is a very essential component of ensuring proper health care for patients. Having a high insulin sensitivity is considered to be healthy. However, increasing your sensitivity can be difficult. Treatment options are similar to those utilized by people who are already suffering from type 2 diabetes. Many large scale research trials are investing their time and research funds into identifying methods to improve insulin sensitivity in diabetics. Now, let’s take a look at how to increase insulin sensitivity. Getting to the root of the condition helps our understanding of having increased insulin sensitivity. Having a suppressed sensitivity to insulin means your body requires more insulin to lower blood glucose levels. Insulin is required by diabetics to help their body properly absorb glucose. An individual who has a normal insulin response will only have an adequate insulin sensitivity. As a result, they will produce only the necessary amounts to help glucose enter the cells and stabilize blood sugar levels efficiently. If you have a history of diabetes in your family, have concerns about blood sugars, or are curious about your health in general, it’s wise to ask your health care professional to evaluate your insulin sensitivity. This means looking beyond fasting blood sugar and HgBA1c. Beyond the condition of type 2 diabetes, poor insulin sensitivity leaves higher levels of circulating insulin in the blood stream. This has been associated with damage to blood vessels, high blood pressure, heart disease, heart failure, obesity, osteoporosis, and cancer. 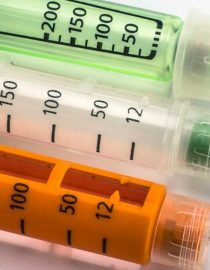 Severe medical conditions for which you can be hospitalized, such as sepsis, stress, or other illness, can reduce insulin sensitivity during the time you are ill. The state of your insulin resistance will return to normal after you get well. There are a few things you can utilize if you’re interested in learning how to increase insulin sensitivity. This list is specifically for those with type 2 diabetes. Exercise: A regular workout routine will help keep your blood sugar levels in check. Dietary improvements: A healthy diet will help you stay on track. You should always be aware of what you’re consuming, as some foods with either increase or decrease your blood sugar, and therefore affect your insulin sensitivity. Try eating a diet with higher fiber, low glycemic foods, and eliminate refined carbohydrates. Weight loss: Being overweight can affect your body’s ability to resist insulin. Be sure to incorporate regular activities to help keep your body healthy. Sleep: A good night’s sleep is always important for your overall health. However, when it comes to increasing your insulin sensitivity, being well-rested will help. Stress reduction: If your body is fighting the effects of stress, it will have a harder time regulating your blood sugar levels. Reducing your stress levels is important. Cinnamon: This tasty spice has been known to reduce high blood sugar levels, and increase insulin sensitivity in some people. I’ll expand on the last three since the previous variables are well-known in their role regarding type 2 diabetes and insulin sensitivity. You might also like...Does Cinnamon Help Diabetes? Researchers have looked at the effects of ginger on insulin levels. In a randomized double-blind placebo trial, two grams of garlic was administered daily for 60 days. Supplementation at this level lowered insulin levels, increased insulin sensitivity, and improved lipid levels. While research looks promising, there are a few contraindications including pregnancy, breast-feeding, bleeding disorders, and heart conditions. As with any form of supplementation it is best to address its use with your healthcare provider before implementing. This may be a promising therapeutic agent to combat insulin resistance. Early studies linked vinegar to lessening the glucose and insulin response to a starch load. More recently a smaller study evaluated both insulin resistance subjects and those with type 2 diabetes after drinking apple cider vinegar, water, and artificial sweetener. Data indicated a significant improvement in insulin resistant subjects and a slight improvement in those with diabetes. Further research is necessary given the limited data. This is an antioxidant in food that is naturally made in our bodies. Some suggest it may help in the improvement of insulin resistance. One study conducted in 2006 evaluated a small type 2 diabetic group that was given 600 milligrams two times per day for four weeks. With the short-term use of alpha-lipoic-acid, significant changes in insulin sensitivity were observed. Remember to always talk to your doctor before considering supplementation interactions, especially if you have a preexisting thyroid condition, or take other prescription drugs. Given that additional research is needed on these three components, emphasis should be placed on the more well-known factors: exercise, dietary improvements, weight loss, sleep, and stress reduction. Knowing how to increase insulin sensitivity will help improve the management of type 2 diabetes, and alleviate dangerous health conditions that can result from the disease. Mahluji S et al. Effects of ginger (Zingiberofficinale) on plasma glucose level, HbA1c and insulin sensitivity in type 2 diabetic patients. Int J Food Sci Nutr. Sep 2013; 64 (6): 682-686. Heimes, et al. Impact of the 5-HT3 receptor channel system for insulin secretion and interaction of ginger extracts. European Journal of Pharmacology. December 2009; 624 (1-3): 58-65. Ebihara, et al. Effect of acetic acid and vinegar on blood glucose and insulin responses to orally administered sucrose and starch. Agric Biol Chem, 1988; 52 : 1311 –1312. Johnston, et al. Vinegar Improves Insulin Sensitivity to a High-Carbohydrate Meal in Subjects With Insulin Resistance or Type 2 Diabetes. Diabetes Care, January 2004; 27 (1): 281-282. Kamenova, Petya. Improvement of insulin sensitivity in patients with type 2 diabetes mellitus after oral administration of alpha-lipoic acid. Hormones, 2006; 5(4): 251-258. Nicole is a registered dietician and who aims to teach her clients to nourish their bodies through whole foods. She holds a Bachelor's degree in both nutrition & exercise science as well as a Master's degree from the University of Montana. Wine and Diabetes: Is a Drink Now and Then Okay? If you enjoy a glass of wine every once in awhile, there is some information you should know about both wine and diabetes.